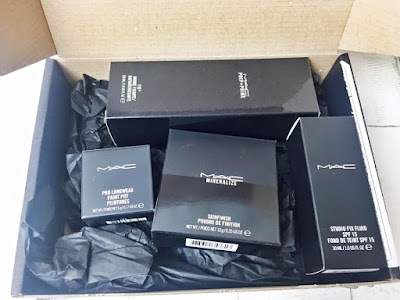 I know I recently did another MAC haul but what can I say...I'm a beauty addict. The sole purpose of this order was for the fact I wanted to try the studio fix foundation and I couldn't help picking some other products too. For some reason I love the way MAC package their products. I feel as though it looks really chic and pretty. So as I mentioned I wanted to buy the Studio Fix foundation as I have heard amazing things about it, I have only used it once and I so far really like it. In-case you were wandering I am in the shade NC30. Next I picked up a paint pot in Painterly as I have heard nothing but great things about it. I have been using this as an eyeshadow base and it is so amazing I have no idea how I survived without it. I then decided to pick up another mineralize skin finish. I have the infamous soft & gentle which I love but I realised I wanted a more bronze/gold highlight to give my cheeks a more warm glow. So I decided to pick up Global Glow, this highlighter is so amazing! It gives my skin the perfect glow! I think I might have a new favourite highlighter!!! Lastly I decided to pick up the prep and prime fix + after seeing so many people use it I though I would give it a go. I must admit the first time I used it, I used it as a setting spray as thats how I have seen everyone else use it...however I decided to look more in to the product and it isn't used for setting your make up at all! It is used to make your skin look less powdery after using powder. I was so surprised after learning this but it really does work, It leaves my skin looking almost flawless! (I say 'almost flawless' because lets face it no one has flawless skin). 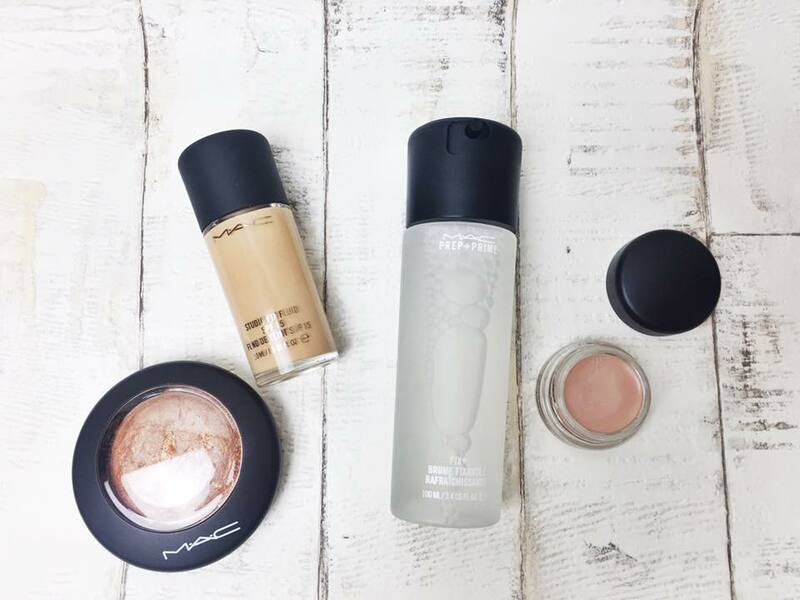 Let me know in the comments what you favourite MAC product is. Haha, you were suppose to buy one thing but ended up buying more! So understandable, we've all been there. I've been hearing lots of reviews about the prep and prime fix+ too, I think I have been tempted enough to buy it. And I need a good new highlighter. Ah Mac - working wonders again!